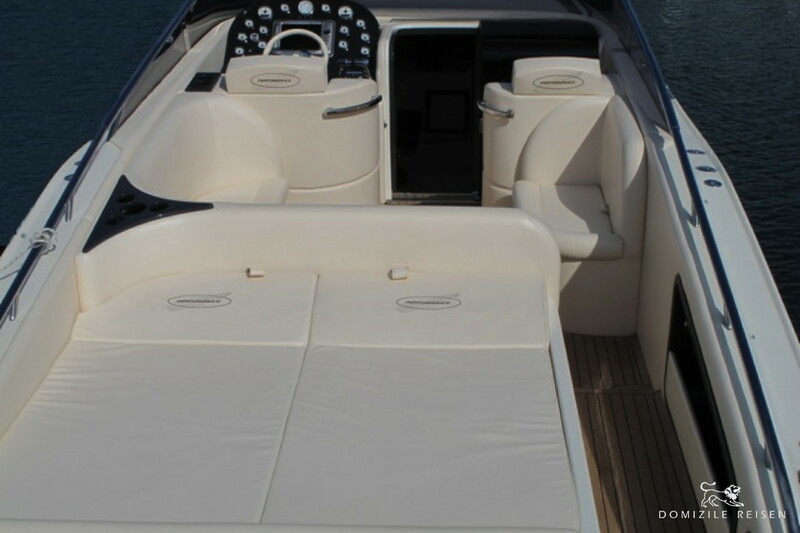 The comfortable cabins of both motor boats are equipped with king-size beds. 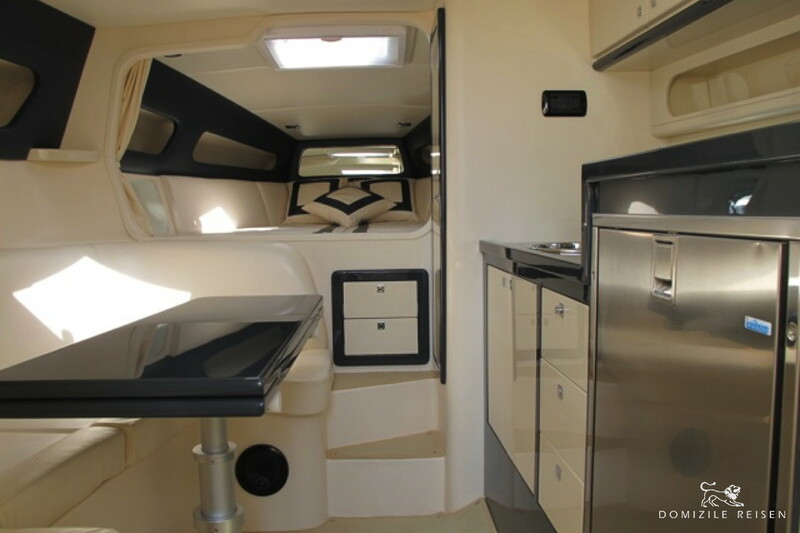 The boats also have a cozy lounge with a fully equipped kitchenette and an elegant bathroom with a separate shower cubicle. 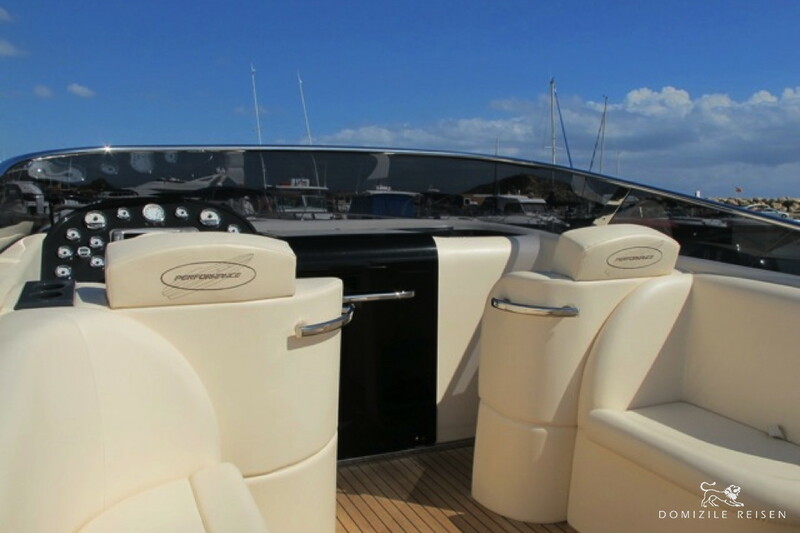 Enjoy unforgettable days on board these luxury speed boats and experience the most beautiful bays of Mallorca, the idyllic beaches of Formentera and the chic beach clubs of Ibiza, which can be reached within one-day trips. The Performance 1107 provides a perfect synthesis of a thoroughbred offshore boat and a homely cruiser. It combines plenty of space with uncompromising sportiness. Experienced skipper 250 EUR per day. Catering on request. 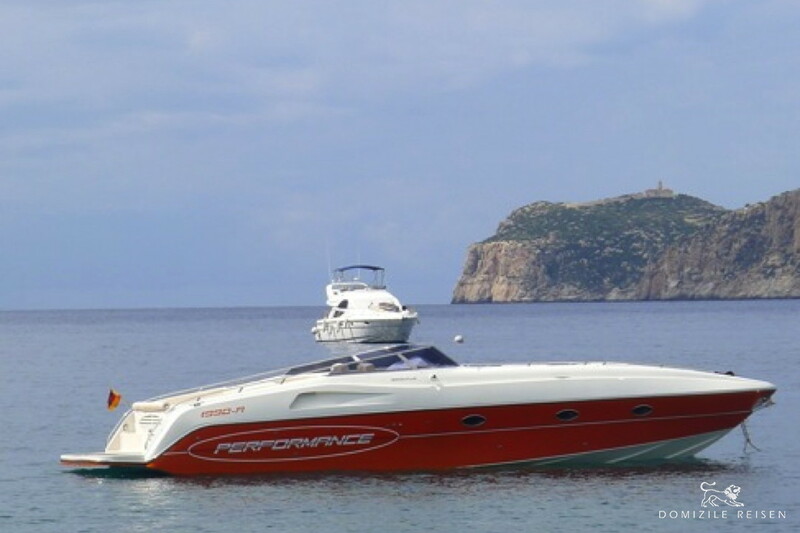 The Performance 1407 is an offshore cruiser of the absolute top class. It offers comfort and elegance in perfect perfection without losing the typical characteristics that all boats of the Performance shipyard distinguish. 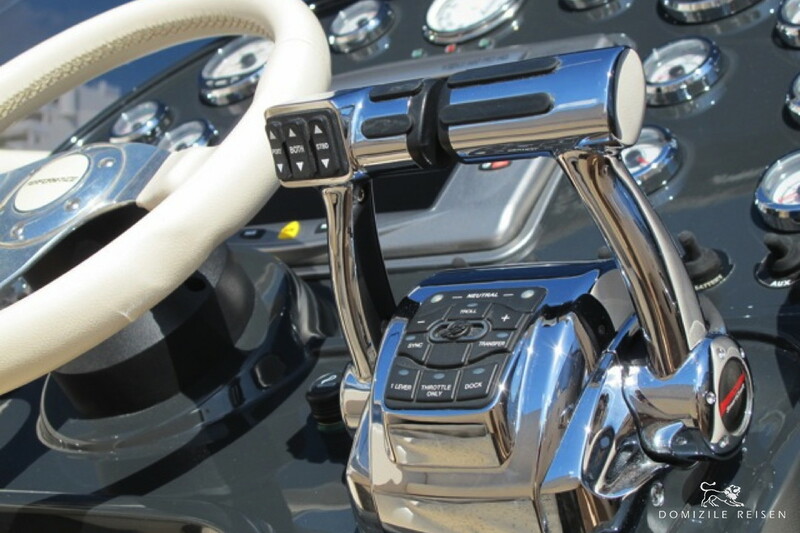 She is both sporty and fun to sail with high driving comfort and safety, even in harsh sea conditions. You are welcome to be accompanied by an experienced skipper for a fee of 250 EUR per day. Extras: fuel, lodging and food for the skipper; on request: bed linen, bath and kitchen towels, catering, cosmetics and toiletries, cleaning service. Call us at +49 (0) 89 833 084 for a quote! We look forward to arranging your cruise! Kindly send us your TRAVEL INQUIRY.